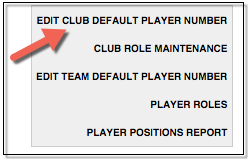 Players that you are assigning to matches can also be assigned a default playing number. In thePre Game menu if you click on the Tools menu you will see the option for a default player number (shown below). You will then be able to assign a player with a default playing number so that each game the player is assigned to, their playing number will be automatically assigned as well. 1. Access the Online Results system . 6. 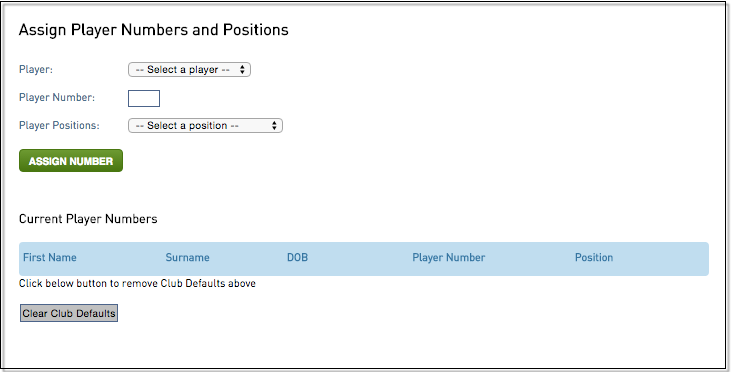 Select the player from the drop down list at the top of the page and enter in the number you wish to assign that player as a default You will also be able to manage the existing playing numbers for those team members from that screen.